--CBs Joe Burnett and Keenan Lewis will not only play but could start against the Browns. CB Ike Taylor, nursing burn wounds, might find a place on the Steeler bench. --CB William Gay, who suffered a concussion against Oakland, will undergo neurological tests. If he is able to play, he may not start. --WR Hines Ward is doubtful because of a late-game hamstring injury, so Limas Sweed moves up the depth chart (gulp) and a receiver will be signed for depth. Either Sweed or Mike Wallace will start in Ward's place. I'm putting my money on Wallace. Call it a hunch. --S Troy Polamalu will likely miss his fourth straight game with a knee injury. Call that the Madden Curse. --RB Rashard Mendenhall will get limited reps in practice this week because of an ankle injury. --And to the best of my knowledge, there were no promises to unleash anything else this month. Ike Taylor, nursing burn wounds? As many times as he's been burned this season he should be in an oxygen tent. Is there room for Gay in that tent? As has been the case recently with HCMT: he can talk the talk, but can he walk the walk. Thus far, he has proven to me that he has no ability to motivate the team, make sound coaching decisions, and/or get control of 'the room' to right the ship. I like him and I really hope he proves me wrong. And please, spare me " He did win us a SB last year". That was one of the best defenses EVER we ran out there! But wasn't that defense composed of much of the same personnel as this year's group? Obviously coaching mattered last year and to pretend otherwise is extremely nearsighted and foolish. It's amazing to think that one player might have such a huge impact on transforming a defensive unit. It seems to me that Polamalu:Steelers Defense::Peyton Manning:Colts Offense. 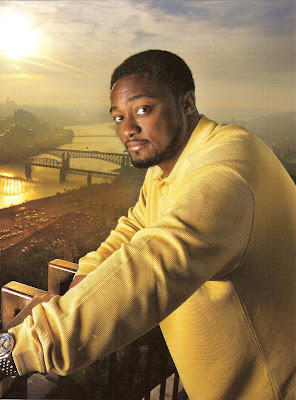 I give Tomlin all the credit in the world for doing a great job last year. But I also blame him for a lot of what's happened this year, starting with the rumors of a more lax training camp. He's a young coach, and I hope he learns from his mistakes to be more consistent. Agreed, but maybe it gives you a look at which depth is worth keeping long term. Also to add to my previous statement, even without 43 the Steelers D should be capable of handling the 2009 Raiders offense on home field. I just can't explain why this group, that was the pinnacle of defense 11 months ago is complete garbage now. The ability of Polamalu's mere presence to wreak havoc might be a larger factor than any of us ever imagined. Almost the same unit. Aaron Smith has been out as well, and though the run defense has played okay in his absence, he was an every-down player, usually playing the NT spot in the nickel defense as the only down lineman. Additionally, last year Gay and McFadden were alternating every 2 drives at corner, meaning that if the opposing offense found something that worked on one drive, chances were it might not on the next because of the differing styles of Gay and B-Mac. I'm going to go out on a limb here, but I would rather see them bench Clark than Taylor. I think Clark suffers the most wht Troy out of the lineup. Tyrone Carter had decent game filling in for him in Denver. I am in no hurry to resign Ryan Clark and think we should look to free agency for his replacement. I hear Burnett and Lewis are specialists in "unleashing hell." Joe's hands seem to fit in with the current group. I believe this makes the second time Ike has been benched in his career. I will agree that I am being nearsighted, but I also think that the pass rush has been called off this year as opposed to last. When you have weak corners, which we have at least one, blitzing surely would help them out by forcing the QB to get rid of the ball before the WRS are open. All in all, there is PLENTY of blame to go around. But since HCMT has been making empty threats the last few weeks, I am becoming frustrated with him not giving answers. I am sorry, but " Your guess is as good as mine" doesn't answer the question regarding why our secondary gets torched. I don't think the 'lax training camp' is the reason for their record. He ran a tough one his first year and was ripped for that being the reason the team wore down and lost to the Jags in the wildcard round. That doesn't mean that Tomlin goes without blame, but Ike isn't the same player as last year. Neither is Clark, or Farrior. Gay is exposed when playing full time. Add to that no Troy, no Smith, and that's over half of your defense. 4th quarter leads failing isn't just the defense, though. I've been in the corner of Bruce Arians while everyone else hasn't for far too long. I agree that a balanced attack can be ruthless, but you NEED the running game in the 4th quarter, and you need to lean on it. Last time we leaned on the running game? Last week against the Ravens, and we almost won with a 3rd string QB! Imagine if we did the same thing with Ben back there!! The coaching staff has Wallace in slot. That's what he's done all year long. They prefer to keep him to what he knows and only have one player out there that is one a new assignment. I think some of these guys are still good, they're just compensating too much for the weaknesses of their teammates. It seems like some of the guys on our defense that can and should be playing better (I'm looking at you Ike) are maybe pressing a little bit right now. Others, like William Gay, just weren't as good as we'd initially thought. And James Farrior looks like he aged about 8 years in the offseason, particularly in pass coverage. He cost us two games by poorly playing the pass on 4th downs: Baltimore (Ray Rice) and Cincy pt 1 (that Leonard guy from Rutgers). We should've kept Foote (good run stuffer) and let Farrior go. But, hindsight's 50/50 I guess. Here's a suggestion. Key Fox has shown to be more than capable against the run. Put him in Timmons spot as the "Larry Foote"-type, and have the younger, more athletic Timmons slip into Farrior's role. Fox is a better run stuffer than Timmons, and Timmons can't be as bad in coverage as Farrior, plus he has more upside. And let me be the first to question Hines Ward's toughness for not gutting it out in this huge rivalry game Thursday night. I'm pretty sure Farrior is the guy who calls the signals, audibles, and makes sure everybody is set. They can't take him out. And I don't understand the Timmons hate. He played terrible when the ankle was bothering him but the past few weeks he's been awesome. By all rights, Fox and Timmons should be the starting two ILBs. Although I'm sure Tomlin doesn't have the guts to tell broken down old Farrior it's time to sit. "And let me be the first to question Hines Ward's toughness for not gutting it out in this huge rivalry game Thursday night." Yep. That would be one of you.